So I have had my truck into Dealer on multiple occasions for what sounded like a lifter tick. This ticking noise was loudest in the morning first thing when starting engine. With the hood open it sounds like a lifter sticking and coming from under valve cover. You also can hear it through the drivers side wheel opening. Since the dealer has recently replaced all lifters I decided to go ahead and replace the vacuum pump. I purchased one from Amazon for $128.83 and a Lisle Stretch belt tool 59370 for $15.00. Upon start-up the loud ticking noise is gone. I can still hear the injector noise but it is not very loud compared to this noise I have been chasing for some time now. We will see how long this new designed pump lasts. It does not look as beefy as the original but if there is no noise I will be very happy. Good to know. I have always thought that my truck makes a louder tick than the others that I have been around. Maybe this is a good preventative maintenance item to do. I do have over 100k on mine. The price is not so expensive that it makes it prohibitive. Did your noise sound like this? New vacuum pump fixed my sound. Mine was louder and cold start was really bad. Could hear through wheel opening on drivers side. Pump is on the front drivers side of engine. Was it difficult to replace? It took about two hours. It's very difficult to get the back two bolts tightened back up. Take your time and you can do it. 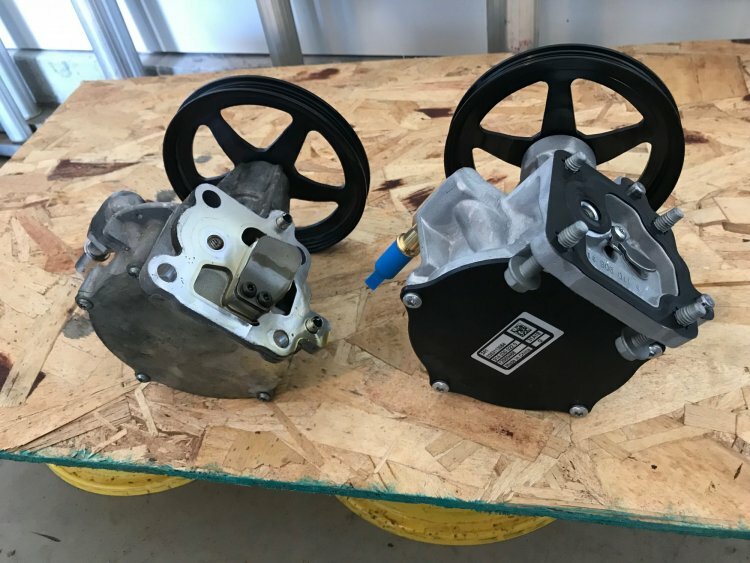 Which fixed your problem, the vacuum pump or the high pressure fuel pump? I read your HPFP thread too. I've never seen or heard of the vacuum pump ticking. Most all trucks have noisey ticking high pressure fuel pumps. 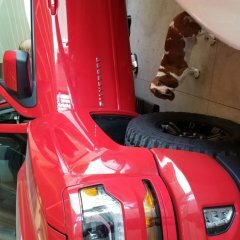 I have the same ticking sound in my 16 silverado, do you guys know if this should be cover under warranty? Does the oil need to be drained before replacing the pump? An automotive stethoscope should help figure out what's ticking. Hey all! Hope everyone is having a wonderful Monday morning. 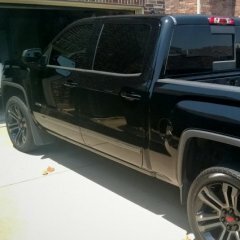 I’m reaching out to y’all because i purchased my 2014 Silverado 5.3 used, with 76k highway miles. 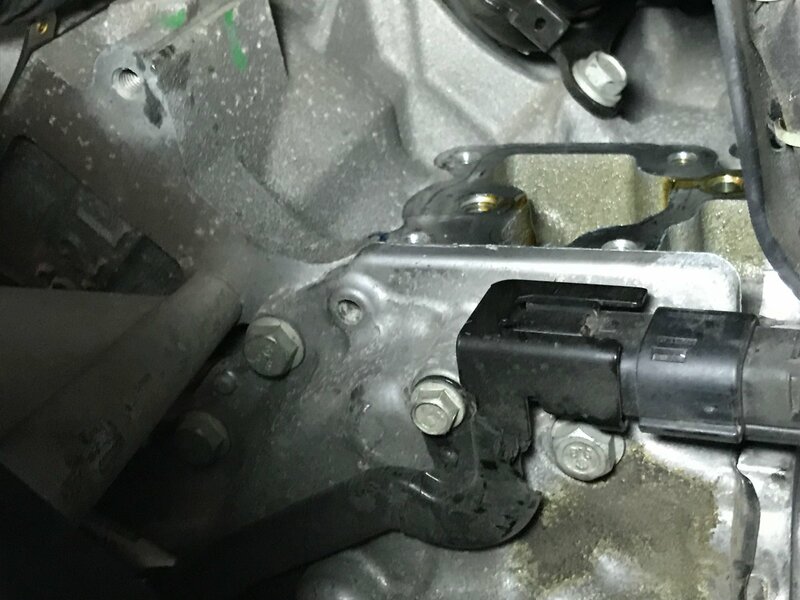 From purchase, it had a decently loud engine, which after reading some posts about direct injection and the oil delivery of these engines, thought it was normal. But after comparing engine sounds to other 2014-2016 5.3 engines, I’ve come to the realization that my engine is obviously not operating the way it should be. My transmission acts up a bit, but that’s GM transmissions... I’ll have it checked out when I take it for a warranty service. Anyways, I wanted to hear what you guys think on this topic. I can’t seem to figure out what the whining is from, and why it’s incredibly quieter on other trucks. Maybe my (part that produced the whine) needs to be replaced? I don’t know what it is. My starter grinds sometimes and it’s a nasty sound, but I heard starters aren’t covered under warranty. Then, I noticed, if I get on the pedal and let off, there’s a chirp...I have no freakin clue what that is, so any insight on that helps. Next up is my lifters. I have to definitely get new lifters, and I heard that the lifters go bad after many miles thanks to the B.S. AFM. Once I get the full service I’ll be tuning out the AFM. Then, finally, is my driveline. I get almost like a “clunk” somewhere along the driveline towards the end when I’m coming to a stop, and going... I think it might be my UJoint. Thank you guys for any input you leave, it’s greatly appreciated.